Minesto has developed a technology which converts waves and tides into renewable energy and has tested the technology over several years. Now the time has come to roll it out. 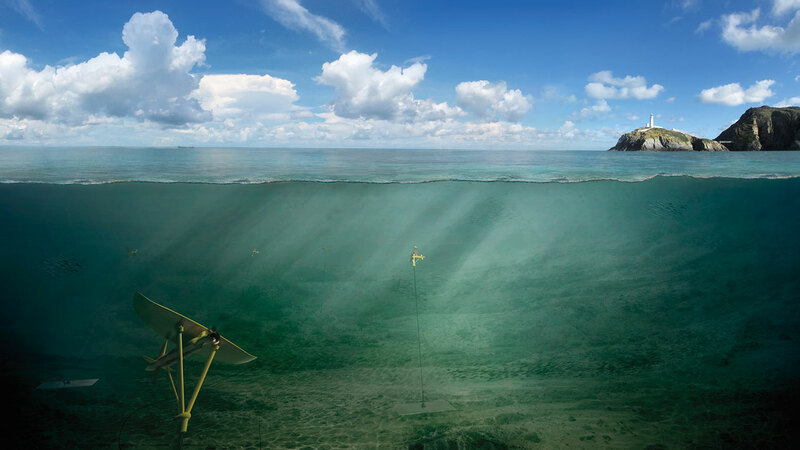 By swiping a wing with a turbine attached underneath over a large surface, the natural movements in the sea are efficiently converted into green power. The method builds on the same principle as kite-flying, only below the water surface. In the fall, Ramboll assisted Minesto in implementing PowerKite, a project under the European Union’s Horizon 2020 research and innovation programme. Nine different European partners participated in the project, including the Chalmers University of Technology in Gothenburg and Queens University in Belfast. “Our contribution to the project was to design suggestions for the power take-off system of Minesto’s power plant at sea and its grid connection on shore. We analysed several scenarios, including related costs”, says Ramboll senior consultant and project manager Pehr Brunnegård. Minesto has two test plants in Great Britain and is now about to implement the technology in the Faroe Islands too. The objective of the Faroe Islands is to convert to 100 per cent renewable energy by 2030, and Minesto has initially been commissioned with installing and connecting two systems. The long-term ambition is to install capacity corresponding to 20-25 per cent of the energy demand in the Faroe Islands. Minesto is also running a project in Taiwan, converting waves into energy. The new framework agreement between Ramboll and Minesto was signed at the beginning of February and covers a broad range of services from offshore and electrical engineering to health & safety. ”We have the multidisciplinary competencies required by Minesto. In the upcoming projects in the Faroe Islands and Taiwan, we can contribute with expertise in almost any field relevant for the projects, including project management, electrical design, electrical analysis, mechanical design, control system design, testing, quality assurance, health & safety, and procurement”, says Pehr Brunnegård.